#Machakos : Mike Sonko chased out of Machakos Town by Angry protesters. - Alfred Mutua meeting. - Bana Kenya News, Real African Network Tubanane. Home Nairobi #Machakos : Mike Sonko chased out of Machakos Town by Angry protesters. - Alfred Mutua meeting. #Machakos : Mike Sonko chased out of Machakos Town by Angry protesters. - Alfred Mutua meeting. The Nairobi Governor Mike Sonko was ousted out of Machakos town by turbulent people. The Governor who went to Mulu Mutisya house when the votes were counted, was evacuated by unknown people as they wanted to burn his motorcade. The people from Machakos profiled Sonko as a betrayer to their land. The Nairobi Governor was expected to meet the Machakos governor Alfred Mutua. The demonstrators turned on IEBC officials and ordered them to stop tallying results from the repeat presidential election. Shouting 'Funga! Funga! (Close! Close! )', they threatened to destroy election materials including cast votes. Anti-riot police officers then arrived and barred the protesters from attacking voters and IEBC officials. Earlier in the day, one person was shot dead in protests in Mavoko. Police fired live bullets and tear gas to disperse demonstrators who hurled stones at them. IEBC officials hurriedly stopped the vote counting exercise, closed the station and moved it to Machakos University, which is the constituency tallying center. Security officers gained more strength after eight vehicles with a contingent of police joined them in repulsing the rioters. 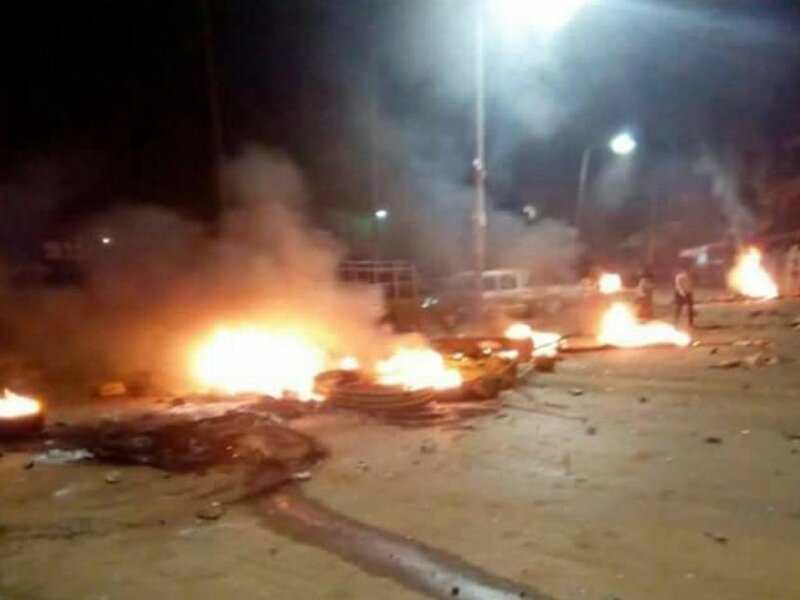 The youths barricaded several roads in the town including Machakos - Makueni, Machakos - Kitui and burnt tyres few meters from Machakos Level Five Hospital. The situation paralyzed businesses in the entire town as shops were closed. The Angry opposition supporters vowed to block Nairobi Governor Mike Sonko if he will be back to the county again. The area is known to be Wiper Democratic Party stronghold led by Kalonzo Musyoka.